Philadelphias Cinedelphia Film Festival takes the citys PhilMOCA (Philadelphia Museum of Contemporary Art) by legit storm this April, announcing and unfolding a month of incredible horror and genre repertory and festival programming. Directed and programmed by Artsploitations Eric Bresler, Cinedelphia boasts a lineup of films youll both want to see and always feel like you shouldve seen; the latter including a Paul Naschy double feature and Andy Milligan triple feature, as well as a marathon from celebrators of regional, oddball and shot-on-video horror Bleeding Skull (you must see The Soultangler). 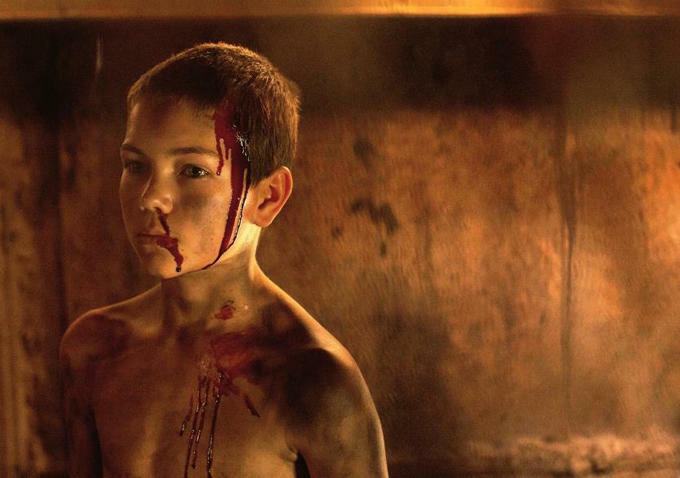 As far as contemporary, upcoming frights, two Belgian films to be released by Artsploitation get a preview: Acclaimed slasher Cub and hard edged thriller The Treatment. Also playing is Matt OMahoneys fest hit, the evil hand horror-comedy Bloody Knuckles, a sampling of Matt Garretts frequent and stellar shorts showcase, Vivisections; and a 12-hour Best Worst Movie marathon. Find the full rundown, below. For tickets and program details, visit Cinedelphia.  Saturday, April 4, 8:00 PM @ Viva Video! BLEEDING SKULL VHS MARATHON – Pre-fest marathon of VHS releases from Bleeding Skull Video! held at Ardmores Viva Video! rental store. Introductions by local filmmaker Johnny Dickie, co-presented by Lunchmeat VHS Fanzine. MILLIGAN MANIA!  Exhumed Films present a triple feature of Andy Milligan films presented on 35mm! TORTURE DUNGEON (1970), BLOODTHIRSTY BUTCHERS (1970), and THE MAN WITH TWO HEADS (1972). KEN DEL VECCHIO HORROR DOUBLE FEATURE  Two films from NJ-based lawyer/filmmaker Ken Del Vecchio including the controversial anti-abortion thriller THE LIFE ZONE (2011). Del Vecchio and filmmakers in attendance. ARTSPLOITATION FILMS DOUBLE-FEATURE  Philly Premieres of two Belgian thrillers from local label Artsploitation Films: CUB (2014) and THE TREATMENT (2014). AS-SEEN-ON-TV CREATURE FEATURE  Exhumed Films presents a 16mm double feature of Paul Naschy horror films with vintage 1970s commercials inserted throughout! Plus a special appearance from legendary local horror host Stella The Maneater from Manayunk of SATURDAY NIGHT DEAD fame! Films are THE MUMMYS REVENGE (1973) and THE FURY OF THE WOLFMAN (1972). RAIDERS OF THE LOST ARK: THE ADAPTATION  Philly Premiere of the brand new complete cut of the greatest fan film of all time. Director/star Chris Strompolos in attendance! BEST OF VIVISECTIONS INTERNATIONAL HORROR SHORTS  Local filmmaker Matt Garrett presents the very best of three years worth of his ongoing Vivisections short flim program. BAG BOY LOVER BOY  Philly Premiere of this Fantasia favorite for the adventurous; a pitch-black satire skewering classism, misogyny, and the NYC art world. BLOODY KNUCKLES  Philly Premiere of this subversive horror comedy from Canada that is sure to bring a like-minded crowd to its feet. Big hit at Fantasia 2014. BEST WORST MOVIE MARATHON  A 12 hour overnight movie marathon of our favorite bad movies! Featuring a 25th Anniversary screening of TROLL 2 with a green-colored food feast, the Philly Premiere of WHITE COP, and a special Everything Is Terrible! presentation of 90s super hero classic THE SKID KID! Plus five surprise features.